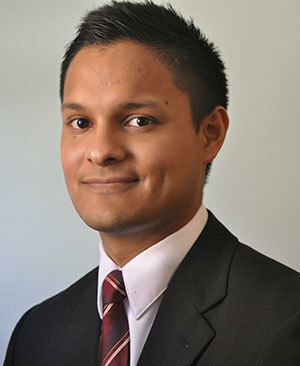 Robert Vargas, an urban sociologist whose research focuses on violence and health care, is joining Notre Dame’s Department of Sociology this fall as an assistant professor. Vargas, who will also be a faculty affiliate in the Institute for Latino Studies at Notre Dame, was previously on the faculty at the University of Wisconsin-Madison and a fellow at the Robert Wood Johnson Foundation at Harvard University. Rory McVeigh, professor and chair of the department, said Vargas is a “rising star” working at the cutting edge of the discipline. Vargas’ first book, Wounded City: Violent Turf Wars in a Chicago Barrio (Oxford University Press), will be released May 1. In it, Vargas argues that competition among political groups contributes to the persistence of violence just as much as the competition among street gangs. He contends that city ward boundaries were deliberately drawn to undermine the political power of poor residents, and these political acts have undermined collective efforts to reduce violence. While he was a graduate student at Northwestern University, Vargas realized that even the best-intentioned community aid programs are derailed by the threat of violence. One particular incident he saw at a local neighborhood center stuck with him. That experience stoked Vargas’ interest in how local governments work with low-income populations to try and reduce violence. Instead of confronting the deep political cleavages dividing the city, Vargas said, local governments have focused on reducing violence through programs targeted at residents or enhanced police crackdowns on gangs. Vargas’ next project investigates the factors that keep people from utilizing the Affordable Care Act, one of the largest expansions of the social safety net in decades. The law subsidizes health insurance for low-income citizens, but Vargas is finding that many are not taking advantage of it because of previous personal experiences with government programs. Understanding the consequences of interactions between government bureaucrats and low-income citizens, Vargas believes, could lead to better implementation and outreach for the Affordable Care Act. Vargas said he believes being closer to Chicago will help his research, but he is most excited about the opportunity to work with the Institute for Latino Studies and a young core of highly regarded faculty across campus. Originally published by Brian Wallheimer at al.nd.edu on March 31, 2016.